A Stouchsburg landmark is coming back with new owners and an old name. The Blue Star Diner is set to open in the former Risser’s Family Restaurant along Route 422, according to an article in the September 16 Reading Eagle. The restaurant, which was called the Blue Star Diner when it originally opened in 1954, was owned by Ernie Risser for 35 years before closing shortly after his death one year ago. The Woodside Family Restaurant in Bechtelsville has closed. The restaurant shut its doors sometime in late August and last week both its Facebook page and website were taken offline. The cached version of the Facebook page, which hadn’t been updated since May, had a message from a user dated August 30, asking if and when the restaurant would re-open. Woodside had apparently undergone a management change a few months before the closing. The Queen City Family Restaurant is getting a makeover. The restaurant is getting an all-new interior, according to its official Facebook page. Queen City opened a Craigslist ad for all of its current furniture, saying it would go up for sale in 3-6 weeks when the renovations are scheduled to begin. No exact date or timeframe has been given for the renovation process. One more new restaurant is coming soon to West Reading. 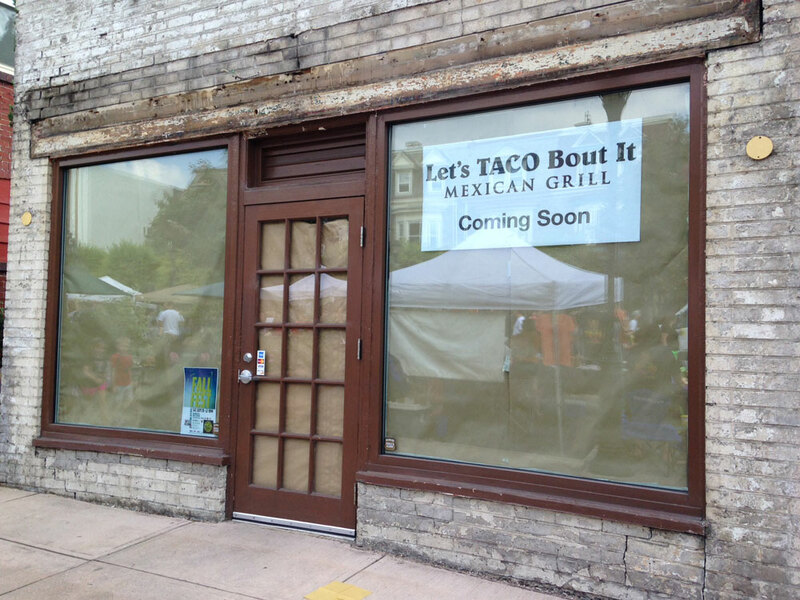 A sign on the former Caggs Cafe announces that a new restaurant called Let’s TACO Bout It is coming soon to the location at 616 Penn Ave. Caggs Cafe, which was formerly known as Cafe Harmony, closed earlier this summer. Work has already begun on the building, including the removal of the awning and stripping of exterior paint.